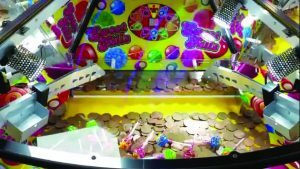 Penzance’s Grand Casino Amusements has launched its latest monthly Facebook redemption competition. 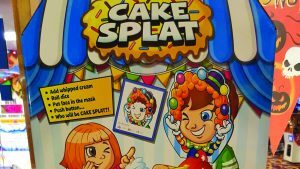 Players have until November 30 to post a picture with the highest ticket total won in the FEC for a chance to win a Star Wars lamp and Cake Splat board game. Bell Fruit Games offers Magnificent 7’s, a Cat C game with a twist. Players can roll four sets of reels with 10 winlines and multiple winning combinations. Fireballs change to a random symbol across all four sets of reels, allowing players to have a maximum of 25 spins on the top reels. Just in at RLMS Sales is Moo York Moo York, a Cat C machine manufactured by G Squared Gaming. 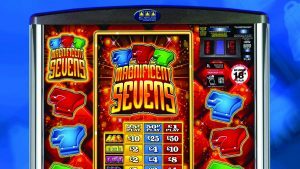 With stakes of 25p/50p/£1 and a £100 jackpot, this hi-tech machine launched in September 2015 utilises Pluto 6 technology in an Eclipse cabinet to create an exciting and entertaining player experience. Masons Amusements in Cleveleys has taken delivery of the new Sweet Falls six-player round pusher from Harry Levy. The game features low fast feed coin entries for easy play and pays out both cash and redemption tickets. 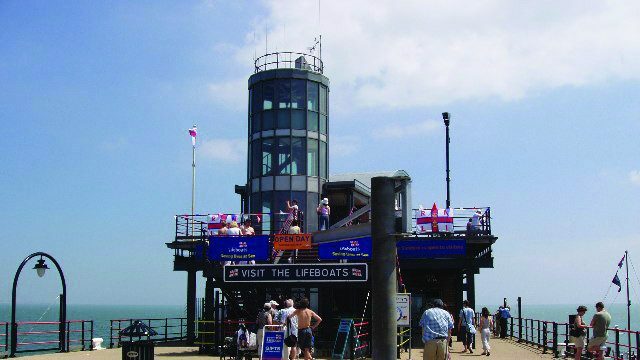 Southend Pier has been named as one of TripAdvisor’s top ten trending autumn attractions for 2016 after interest on the travel website increased by 88 per cent. TripAdvisor announced the list of attractions that have seen the greatest rise in interest this autumn based on year-on-year search activity. 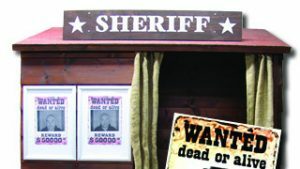 Manufactured by DPS of Forlì, Italy, the Sheriff Photo Booth from SB Machines dispense the ever popular ‘wanted’ photo. Dongle free and easy to maintain, these machines are an interesting and unique addition to any amusement premises. From Astra Games’ illumniSign division comes the digital illumi-EOB. 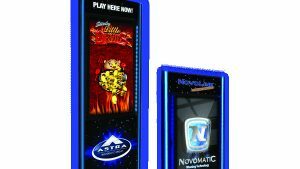 Featuring a 32“ signage screen in portrait mode, embedded media player, illumiZone edge lighting and upgradeable artwork, this high impact digital End of Bank (EoB) display allows operators to promote games and special offers.